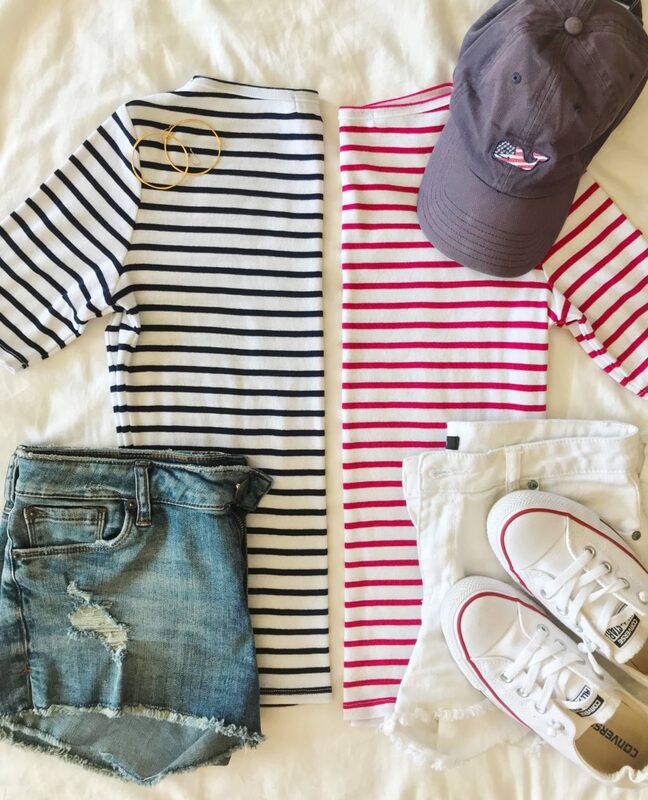 Five for the Fourth | 5 Easy & Classic Outfits for the Fourth of July | hi Sugarplum! Cheers to Friday, friends, and the weekend ahead! Our son is away at camp for another week, so Little Miss has a full weekend of only-child activities all planned out for us. I miss him like crazy, and she’s loving every second of it! Independence Day snuck up on me this year, but it seems odd to have it in the middle of week, right?! It’s nice when it allows for a long weekend. Retailers must be considering this weekend the holiday, because the sales are coming in hot! 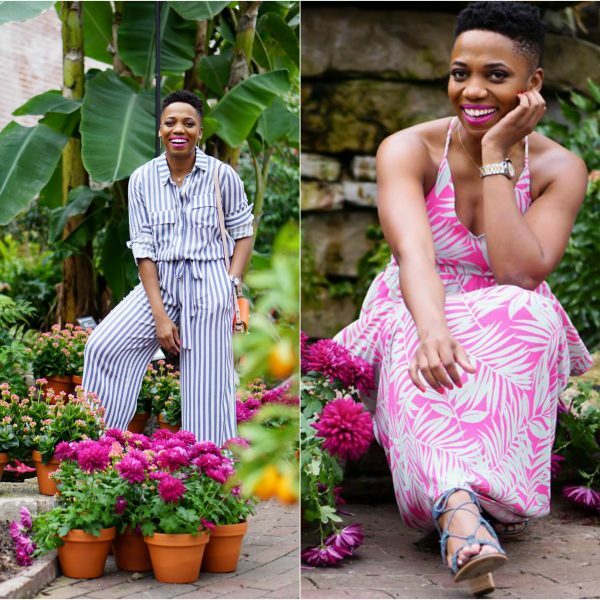 I’ve rounded up my favorites at the end of this post. I’m not much for themed holiday outfits, but I do love a good red, white and blue combo! In fact, I’ll be wearing some variation of it most every day this weekend, and through the actual fourth! Here are some styles to inspire you this holiday. 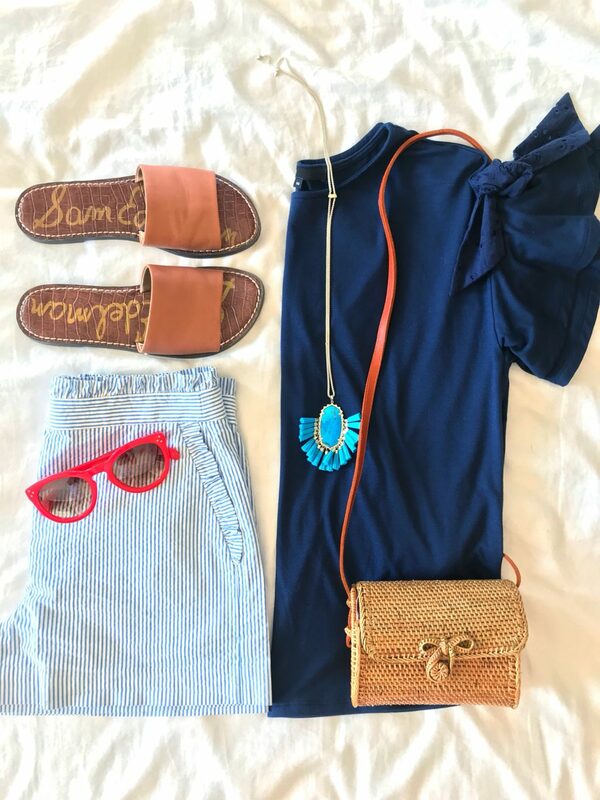 This is similar to the outfit in yesterday’s Backyard Refresh post, but I swapped the ruffle tank for this darling tee with eyelet ties on the sleeve. Okay, this is technically two outfits, but they’re the same general idea, so I only counted them once. Plus, Five on the Fourth sounds better than Six on the Fourth. 😉 This is essentially my weekend uniform, regardless of the holiday. 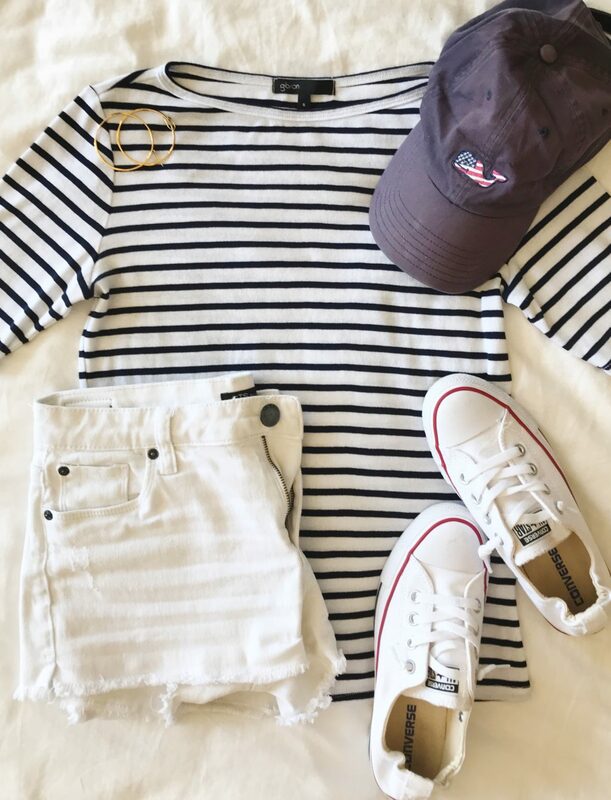 I adore this striped tee with slightly longer sleeve! I broke them up in case you wanted to Pin one or the other. I’ve worn these shorts countless times already, they are such an easy fit, and the the embroidery makes them special. I usually pair them with a white tee or tank, but I love them with this chambray, too. 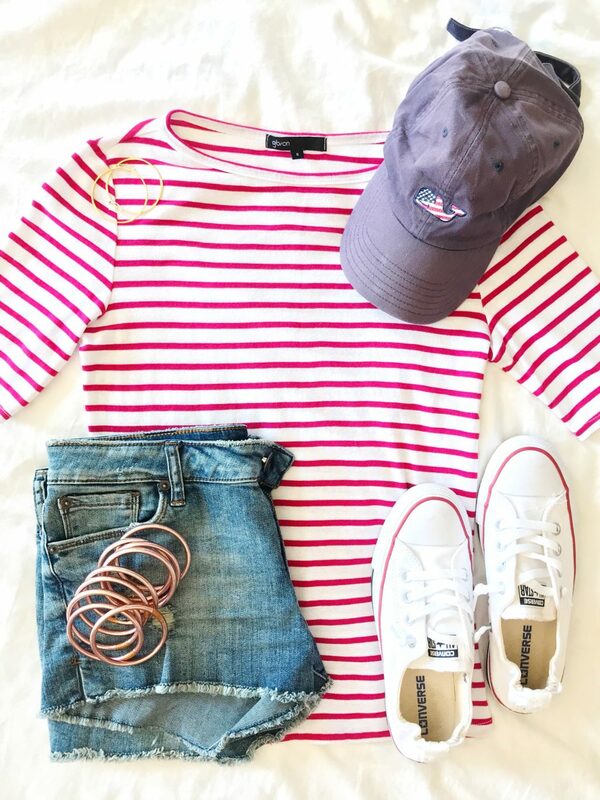 You’ve seen this combo several times already (here and here), but it’s just one of my faves right now…and perfect for the Fourth…so I had to include it! Hopefully your weekend includes time near the water, and this suit couldn’t be any more perfect! It’s definitely my favorite one-piece…and 50% off right now! If you’re looking for a dress, I love this blue maxi, and this embroidered one (both on super sale!). And speaking of embroidered, how darling is this top? Are you celebrating the holiday this weekend or next…or just Wednesday night? Why is this confusing me so much?! Happy weekend, lovebugs, and see you back here Monday for a brand new Dressing Room Diaries! NORDSTROM // Big sales like 30% off these amazing sandals! 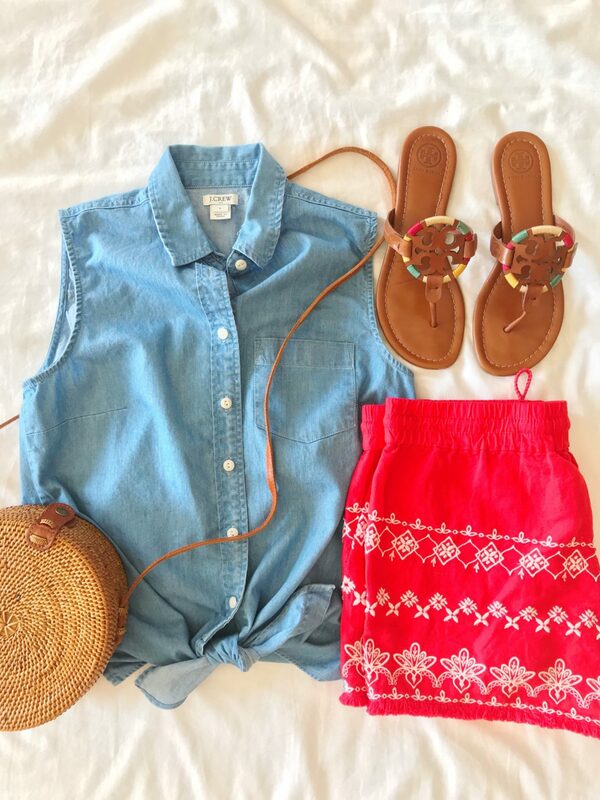 J.CREW // Up to 50% off Summer styles, including swim! BAUBLE BAR // Up to 75% off! hey girl- love the outfits! so cool! Y’all have a great weekend! 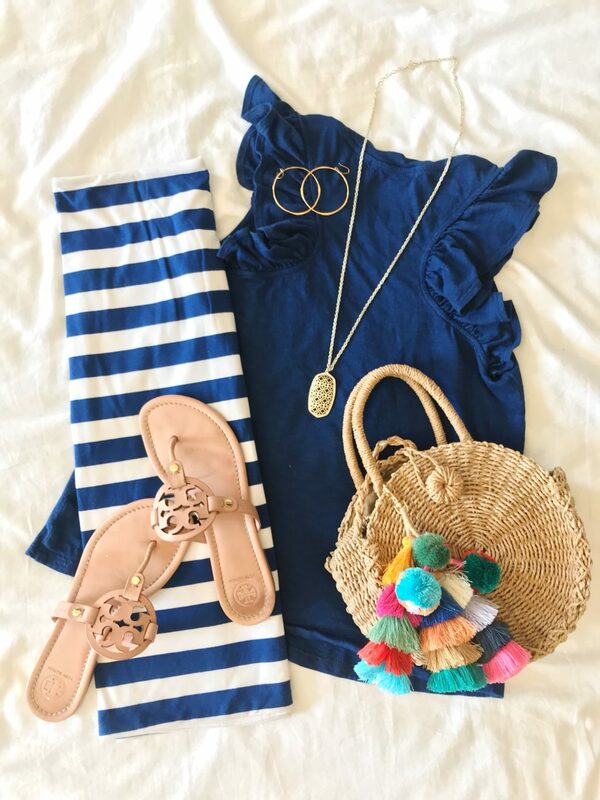 Super cute outfits! Blue and white happen to be the dominant color in my closet so I’m ready for the 4th! And I am so excited that I was finally able to order the Tory Burch Miller sandals! My husband has the 4th and 5th off so we will have sort of a weekend with n the middle of the week! Same with me….not a fan of theme dressing…unless the theme is RED, WHITE, and BLUE! Love these outfits! I meant to put an Exclamation point after July 4th next week! not a question mark. Celebrating my Mom’s 90th birthday, her birthday is on the 3rd. Going to our lake house and having a big party to celebrate her!